Installing the vehicle was no easy feat. 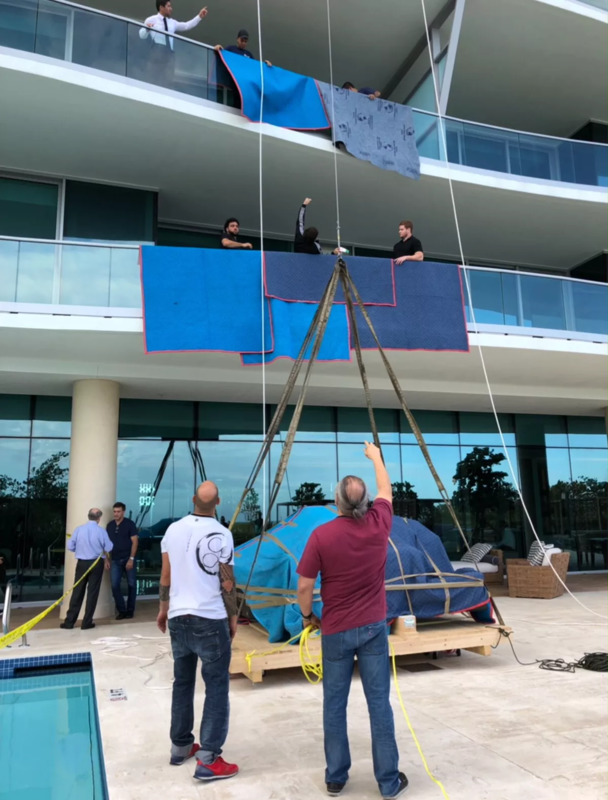 Artefacto Home Staging enlisted the help of an exterior crane to hoist the sleek piece of literal automotive art into the air and through the home’s balcony doors. 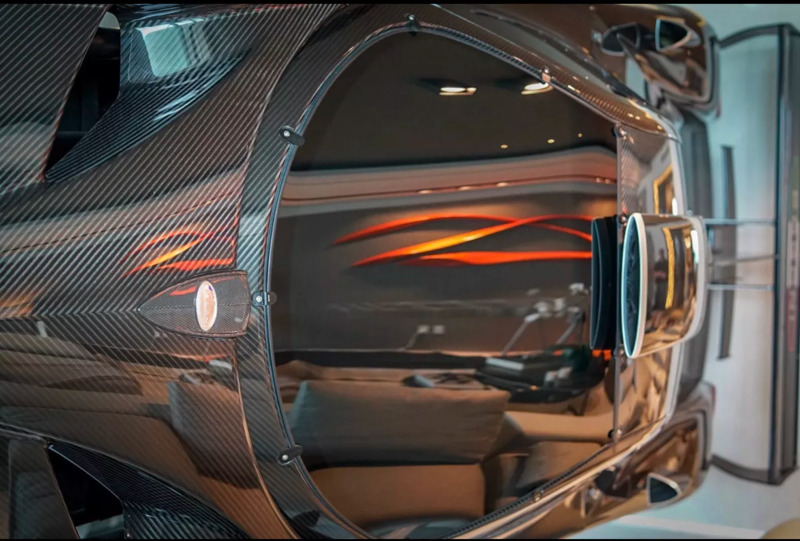 Once inside, the sports car was rotated into a custom aluminum and carbon fiber stand engineered to complement the Zonda’s aggressive aerodynamics. 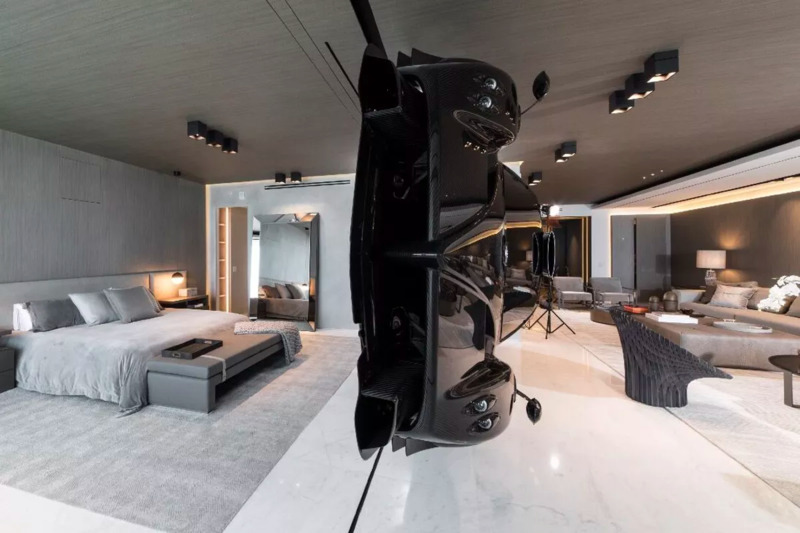 The placement gives the illusion that the vehicle is floating between the 4,200-square-foot home’s living room and master suite. The car inspired the surrounding interior decor, also by Artefacto. 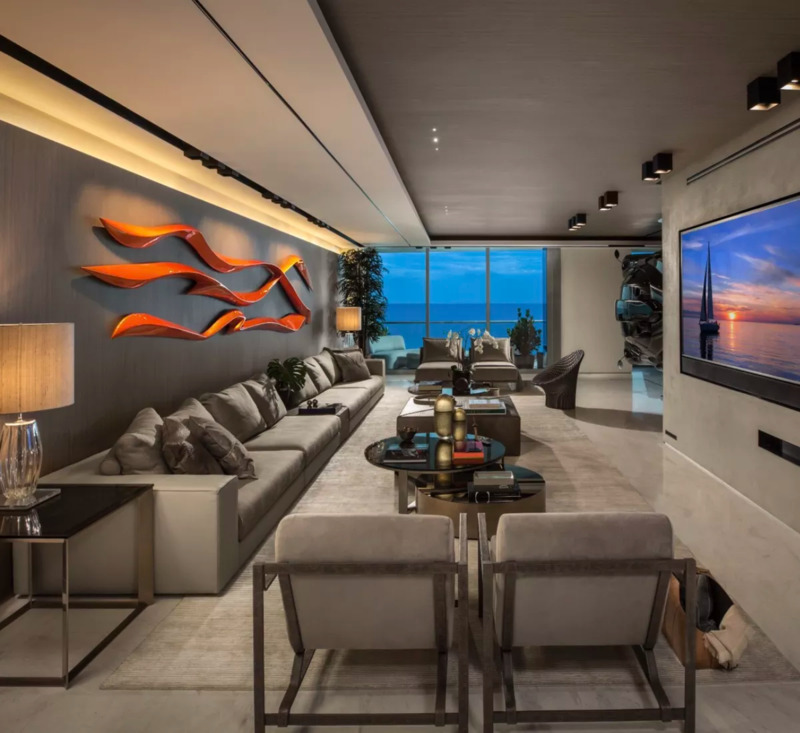 Although the identity of the owner and the location of the home was not made public, the building’s balconies bear an uncanny resemblance to one upscale development in Surfside. 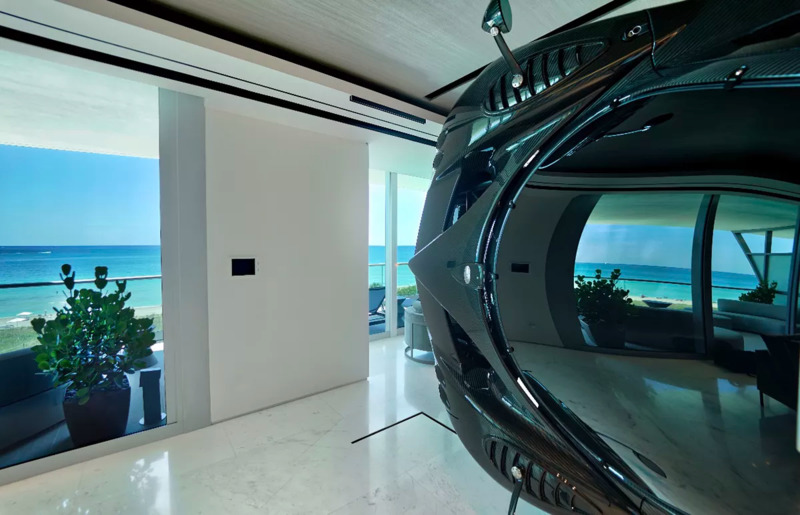 The Pagani room divider is the latest—and arguably most eccentric—instance of Miami’s luxury homebuyers blurring the line between real estate and exotic automobiles. 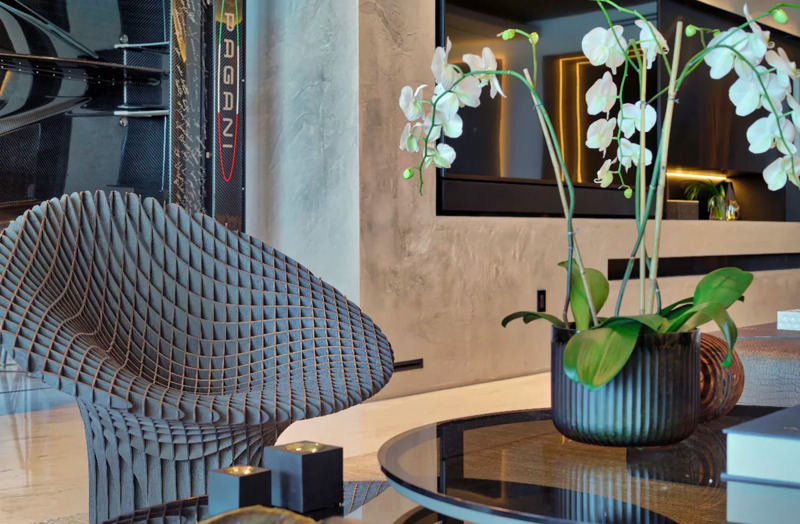 One needs to look no further than the “sky garages” of Porsche Design Tower and the upcoming Aston Martin Residences to see that Magic City has a serious affinity towards sports cars.